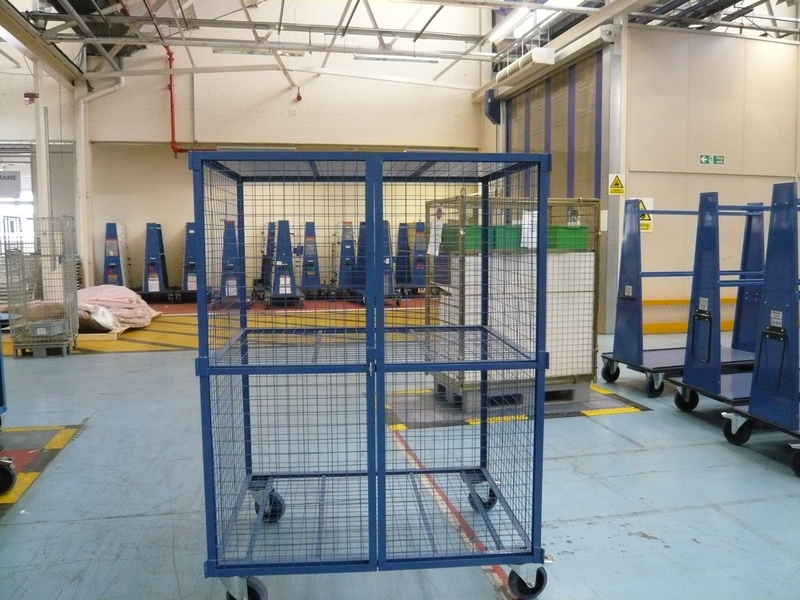 Produce CAD drawing and manufacture Kitting Cages to Dimensions taken on site. The Cages will have a 30mm x 30mm angle main framework with 50mm x 50mm weldmesh inset into the angle. The one off central shelf and base will be reinforced with 20mm x 20mm angle for extra support for the mesh shelves. Two lockable doors to prevent parts falling out will be fitted to one side. Castors will be 160mm dia, all will be swivel with 2 off braked. Approximate overall size 1250mm (W) x 1000mm (D) x 1760mm (H) including castors.